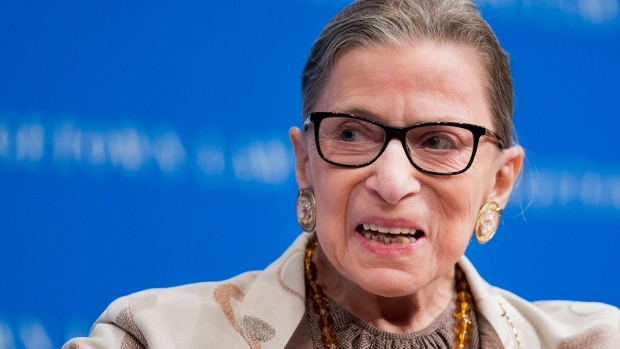 WASHINGTON -- Supreme Court Justice Ruth Bader Ginsburg was released from the hospital Friday after having been admitted for treatment and observation after fracturing three ribs in a fall. In response, Trump tweeted that Ginsburg was an embarrassment for making "very dumb political statements about me. Her mind is shot -- resign!"